Now that travel to Cuba is a bit easier, I am obsessed with getting there to see the beauty of time preserved before its too late. Having written my Master’s thesis on the topic of cultural design in Hawaii, I’m especially interested in how the slow leak of new visitors to the island will effect the existing architecture and design. In the meantime, I’m obsessed with the photos I’m finding online. I’ve discovered a photographer with whom I was not familiar, Nina Leen. This photo she took for Life Magazine in 1946 is one of favorites. 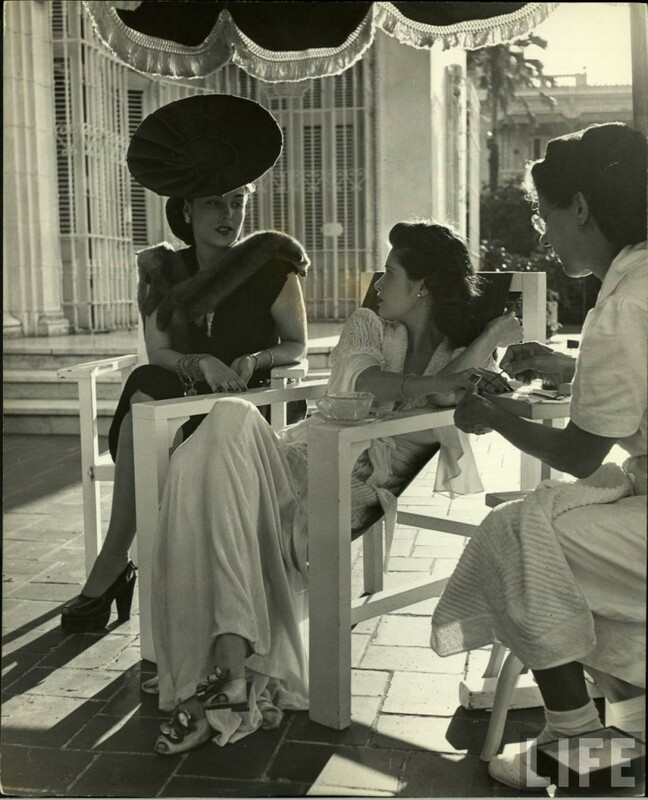 I’m not sure what love most – the clothes, the chair and the architecture are all stunning – but I think the way the woman in the middle is draped across the chair is what pulled me in. The fluidity of that posture is almost like water. Something to keep in mind when designing a room. You don’t need actual water or wind to bring fluidity to a design. Motion can be indicated by still objects.